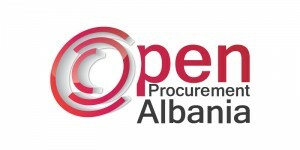 Following Open Local Government Procurement Program OpenLGP, that started its implementation in November 2015, this project is opening data for each procedure of public procurement of the 61 municipalities for one more year (in total, the database will be enriched with data for the two first years of the 61 municipalities, i.e. 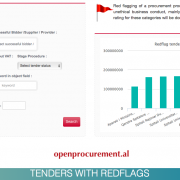 2015 – 2017) and update procurement data already registered. 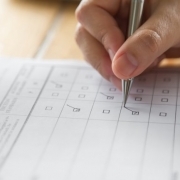 This Project has enabled the creation, promotion, and use of a well-structured database, which serves as an instrument (tool) for transparency, information, citizens’ monitoring about procurement processes of the Public Health Sector for 2016. 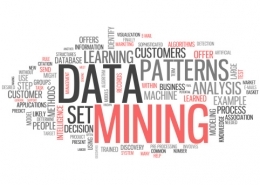 The database contains well-structured data, updated in real time and filters for ensuring user friendly information. It serves as an instrument for anti-corruption. 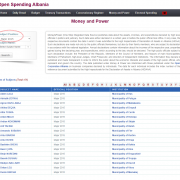 This project and its activities address issues of abuse, corruption, and conflict of interest in the context of governance and politics in Albania. The program opens up and well-structures data about the wealth of high state officials, and expenditures of state institutions, concessionary corporates, and electoral spending.This process enables to track cases of nepotism, embezzlement, and conflict of interest. 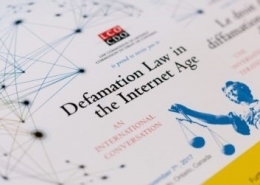 Access to such data increases transparency, accountability and public pressure in cases of favoritism, and embezzlement of public funds or assets. Since its beginning and continuing in the present year, AIS has successfully executed its most prominent project on transparency through Open Data usability. 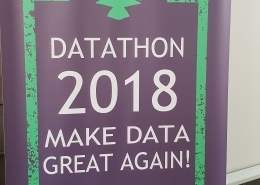 It has published hundreds of datasets in open data formats, deliver more than 300 analyses and studies on socio-economic topics, and launch numerous activities with the goal of creating an Open Data Movement. 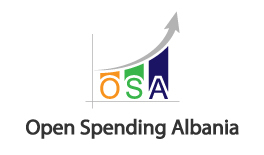 This project provides the public with the Open Spending Albania platform, novel tools and a set of activities that aim to improve the access to transparency data and knowledge on public procurements in the country. PLGP, in collaboration with the Albanian Institute of Science (AIS), has launched an “Open Governance as Good Governance” initiative. 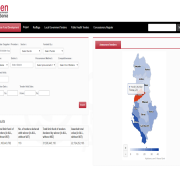 This initiative will draw upon the AIS project experience to make model municipalities’ budgets more transparent by publishing municipal finance information using an Open Data format. 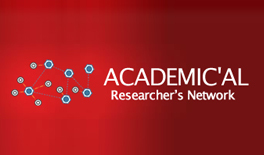 This project establishes a network of Albanian scientific and academic researchers. The objective is to increasing the visibility of our scientific research. 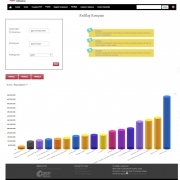 The project marked satisfactory results in different scientific disciplines. It’s long-term aim is the application of open science in presenting the Albanian scientific research and enhancing its effectiveness. 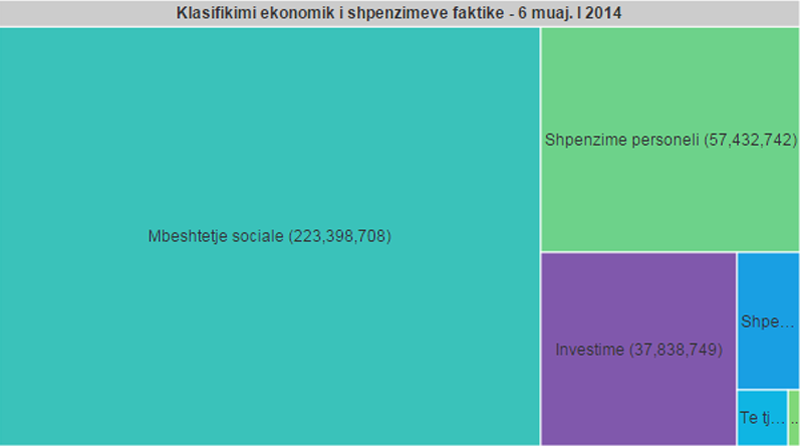 Youth in Kurbin and Lezhe benefit from cross-border IPA projects for Albania –Kosovo. 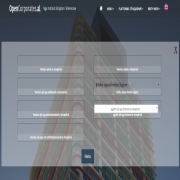 http://ais.al/new/wp-content/uploads/feature.jpg 1366 2048 admin http://ais.al/new/wp-content/uploads/aislogo1.png admin2019-03-14 11:09:072019-03-14 11:58:21Youth in Kurbin and Lezhe benefit from cross-border IPA projects for Albania –Kosovo.